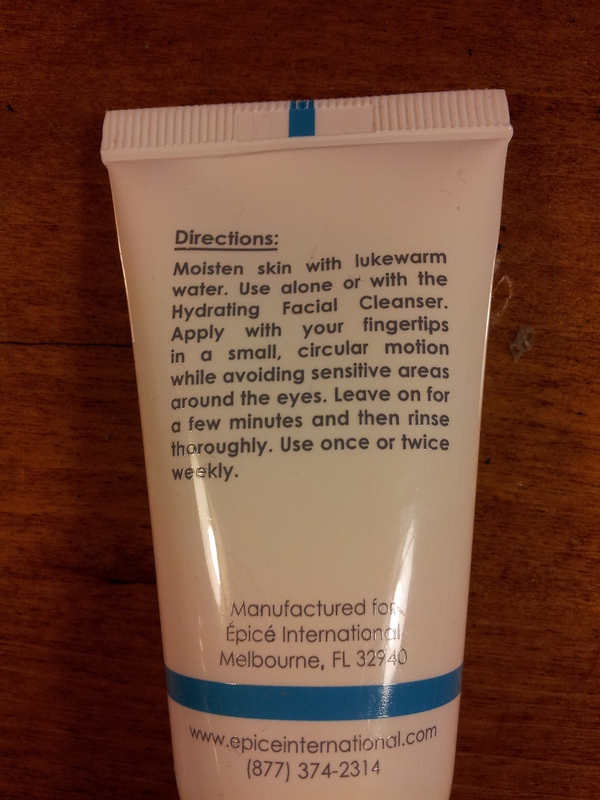 Review – Épicé Purifying Exfoliant! 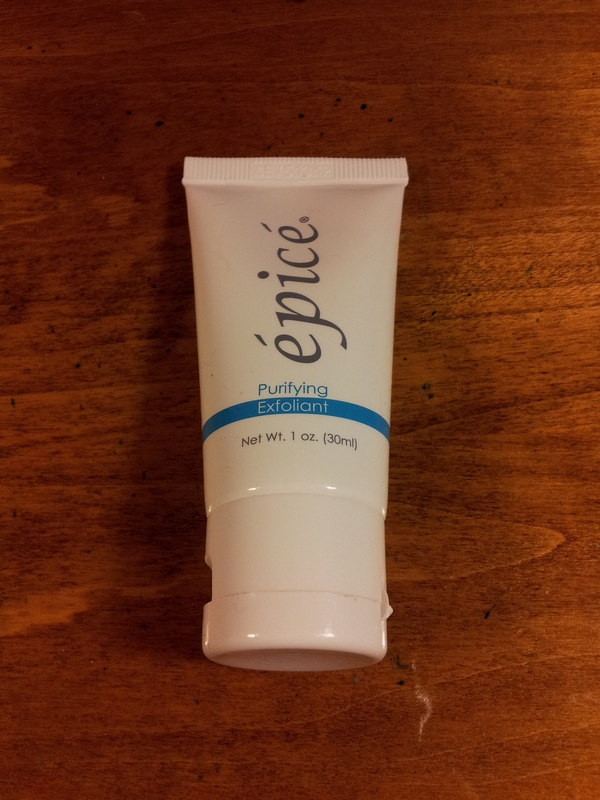 Épicé Purifying Exfoliant was in my January 2014 Ipsy Glam Bag. Oh how I love exfoliants!!! I was very excited to get Épicé Purifying Exfoliant in my Ipsy. What a great way to start off the year! A unique exfoliant which removes excess dirt and dead skin cells all while activating collagen production and hydrating your skin. This moisture rich formula utilizes mild, non-irritating and anti-bacterial cleansers with micro-fine polyspheres which enhances skin texture and clarity for a clean, fresh appearance. Purifying Exfoliant is also great to use on the entire body and after just a few uses, you will begin to see improvement in the look and feel of your skin. Micro-fine polyspheres gently exfoliate removing excess dead cells and environmental debris. Exfoliation helps open pores, which increases excretion of toxins. Packed with emollients, humectants and barrier protectors to hydrate dry, irritated skin. Contains several natural collagen boosters for damaged skin. Softens skin as it cleans. Non-irritating, antiseptic, bacteria and fungus fighting properties. This retails for $32.00 USD and you can get it here. I think this is a lovely exfoliant. It’s certainly not a budget product and very high end. It has a pleasant scent and it does what it says it does. I also like that it can be left on longer to act as a mask. It leaves my skin nice and soft. Would I repurchase? If I had an unlimited budget, yes. Otherwise, no. As much as I like it, I don’t think it does anything additional that a drug store exfoliant doesn’t do. Have you tried this line?